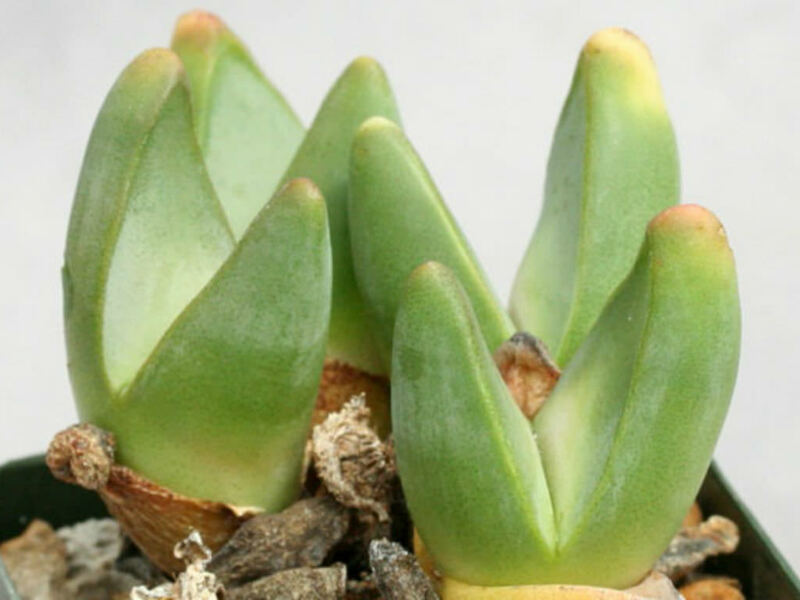 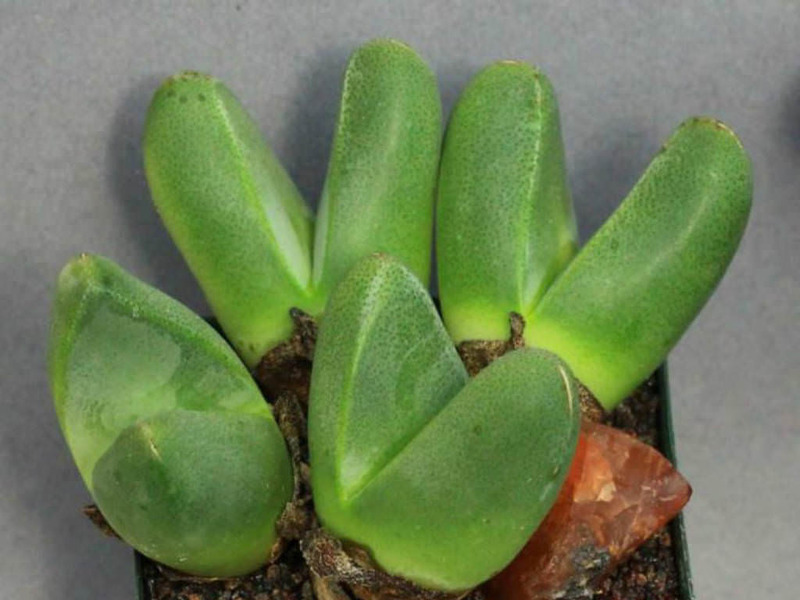 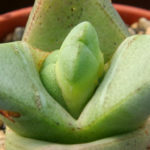 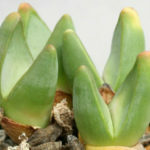 Tanquana prismatica is а little succulent, usually growths with one pair of leaves. 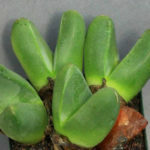 The leaves are finger-like, green with dark green dots, up to 1.6 inches (4 cm) long and up to 1.2 inches (3 cm) wide at the base. 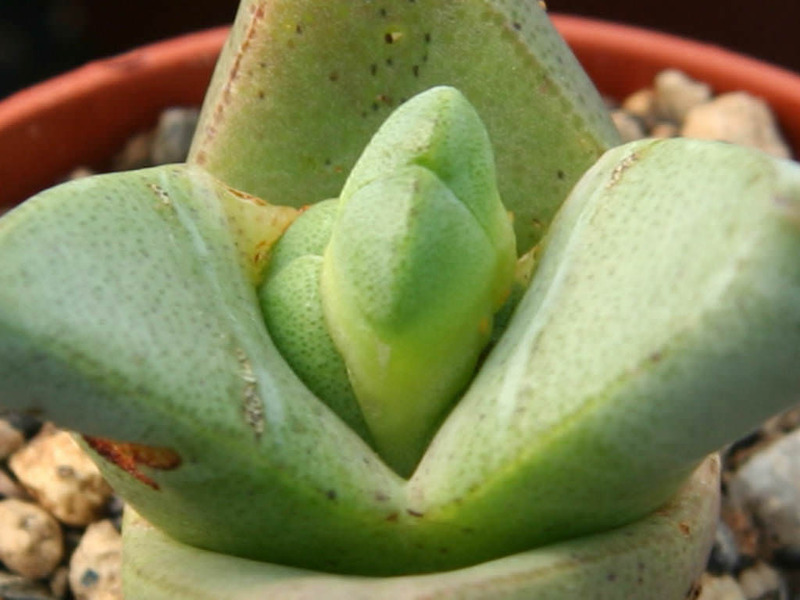 The flowers are yellow and up to 1.6 inches (4 cm) in diameter.